IN HERE ~ BOOKS FOR ALL AGES! Beane, Allan. Bully Free Classroom: 100 Tips and Strategies for Teachers K-8. Brddulph, Steve. Raising Boys: Why Boys Are Different – And How to Help Them Become Happy and Well-Balanced Men. Cappello, Dominic. Ten Talks Parents Must Have With Their Children About Violence. Coloroso, Barbara. The Bully, the Bullied, and the Bystander. Cooper, Scott. Sticks and Stones. Seven Ways Your Child Can Deal with Teasing, Conflict and Other HardTimes. Davis, Stan. Schools Where Everyone Belongs: Practical Strategies for Reducing Bullying. Fried, SuEllen and Paula Fried. 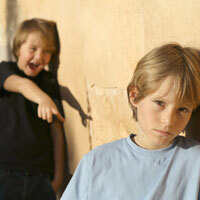 Bullies, Targets & Witnesses: Helping Children Break the Pain Chain. Available from STOP Violence Online Store. Garrity, Carla, et al. Bully-Proofing Your School. (303) 651-2829. Gurian, Michael. The Good Son: Shaping the Moral Development of Our Boys and Young Men. Gurian, Michael. The Wonder of Boys. Kar-Morse, Robin and Meredith S. Wiley. Ghosts from the Nursery. Kindlon, Daniel, Michael Thompson, et. al. Raising Cain. Kraizer, Sheryll. The Safe Child Book: A Commonsense Approach to Protecting Children and Teaching Children to Protect Themselves. Northway-Ogden, Sally. Words Will Never Hurt Me: Helping Kids Handle Teasing, Bullying and Putdowns. Olweus, Dan. Bullying at School: What We Know and What We Can Do. Pipher, Mary, Ph.D. The Shelter of Each Other: Rebuilding Our Families. Pipher, Mary, Ph.D. Reviving Ophelia: Saving the Selves of Adolescent Girls. Rindler, Nancy. Quit It: Teacher’s Guide on Teasing and Bullying for Use with Students in Grades K–3. 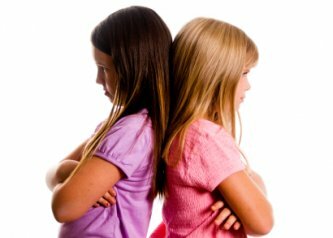 Thompson, Michael, Ph.D. Best Friends, Worst Enemies: Understanding the Social Lives of Children. Urban, Hal. Life’s Greatest Lessons: 20 Things I Want My Kids to Know. Canada, Geoffrey. Fist, Stick, Knife, Gun. Delpit, Lisa D. Other People’s Children: Cultural Conflict in the Classroom. Lantieri, Linda. Waging Peace in Our Schools. Garbarino, James. The Lost Boys: Why Our Sons Turn Violent. Hersch, Patricia. A Tribe Apart: A Journey Into the Heart of American Adolescence. Kivel, Paul and Allan Creighton. Helping Teens Stop Violence: A Practical Guide for Counselors, Educators, and Parents. Mathias, Barbara. 40 Ways To Raise a Non-racist Child. Nuwer, Frank. The Hazing Reader. Pollack, William. Real Boys: Rescuing Our Sons from the Myths of Boyhood. Shaw, James, Ph.D. Jack & Jill: Why They Kill. Seeter & Grant. Making Choices for Multicultural Education: Five Approaches to Race, Class, and Gender. Simmons, Rachel. Odd Girl Out. Simmons, Rachel. Odd Girl Speaks Out. Wiseman, Rosalind. Queen Bees and Wannabes: Helping Your Daughter Survive Cliques, Gossip, Boyfriends, and Other Realities of Adolescence. Burnett, Karen Gedig. Simon’s Hook: A Story About Teases and Put-Downs. Carle, Eric. The Grouchy Ladybug. Carlson, Nancy. How To Loose All Your Friends . Cosby, Bill. The Meanest Thing to Say. Couric, Katie. The Brand New Kid. Estes, Eleanor. The Hundred Dresses. Hammerseng, Kathryn M. Telling Isn’t Tattling. Hood, Susan. Too Small Paul, Too Tall Paul. Lovell, Patty. Stand Tall, Molly Lou Melon. McCain, Becky Ray. Nobody Knew What to Do: A Story About Bullying. Naylor, Phyllis. King of the Playground. O’Neill, Alexis. The Recess Queen. Polacco, Patricia. Thank you, Mr. Falker . Shapiro, Lawrence. Betty Stops the Bully . Silbert, Linda. I’ll Be Your Best Friend . Surat, Michelle. Angel Child, Dragon Child . Thomas, Pat. Stop Picking On Me: A First Look at Bullying. Bosch, Carl. Bully On the Bus. Cohen-Posey, Kate. 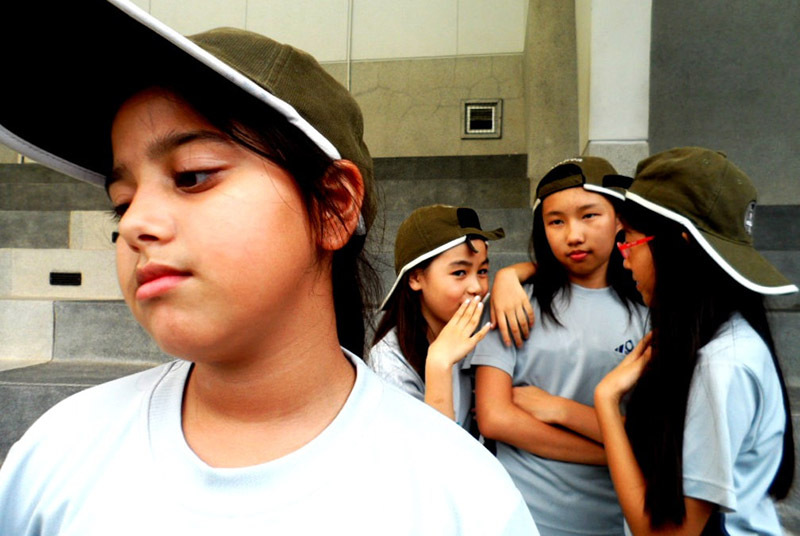 How to Handle Bullies, Teasers and Other Meanies. Kaufman, Gershen and Lev Raphael. Stick Up for Yourself: Every Kid’s Guide to Personal Power and Positive Self-Esteem. Ludwig, Trudy. My Secret Bully. Romain, Trevor. Cliques, Phonies and Other Baloney. Stoltz, Mary. The Bully of Barkham. Verdick, Elizabeth. Bullies Are a Pain In the Brain. Yee, John William. The Bully Buster Book. Devillers, Julia. GirlWise: How to Be Confident, Capable, Cool and In Control. Duvall, Lynn. Repecting Our Differences: A Guide to Getting Along in a Changing World. Flake, Sharon. The Skin I’m In. Marsh, Cassady. Great Scenes From Minority Playwrights: Seventy-Four Scenes of Cultural Diversity. Roberts, Anita. SafeTeen: Powerful Alternatives to Violence. Shandler, Sara. Ophelia Speaks: Adolescent Girls Write About Their Search for Self.